Digital publication is demanded in every field, where getting particular information is necessary. 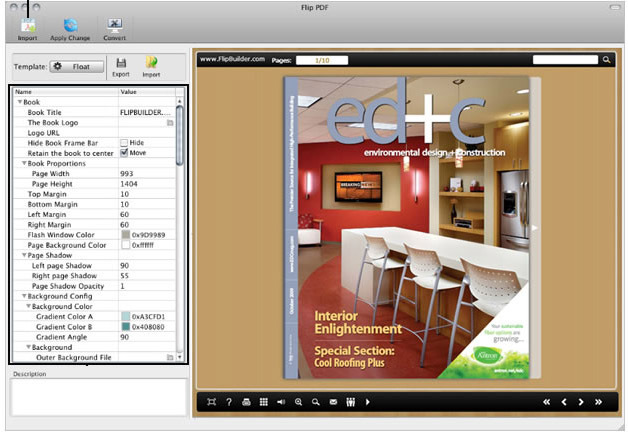 Flip PDF for Mac has made it simple to create impressive digital versions of company brochures and catalogues as well as other important data for the sake of people on the go. Businesses today depend too much on these publications as people find it more time saving and money saving. 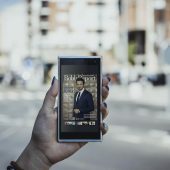 Entrepreneurs can easily deliver their digital publications using this software and keep their customers and readers updated about their products and services. There are a lot of Flip PDF Mac software applications that help you make inspiring publications for your business promotion. as the name indicates the program has been designed or Mac devices. You can make use of a converter and customize your PDF and HTML pages into flipping books! With this software, you are guaranteed to generate real flip books efficiently and effectively. This software is equipped with a lot of advanced features and functionalities. This feature helps you know the number of visitors read your flipbook, their navigation source and the amount of time they spent on your site. You just need to enable this feature on your site and connect Google Analytics ID to your online flipbooks. Once you connected your books with Google Analytics, you can easily track the performance of your flipbook, such as traffic, duration, page views, bounce rate, as well as optimize the content strategy. You are allowed to customize your flipbook tool bar with your website icon or company logo. This will increase your brand awareness as well as make it widely recognized to target audiences. With this feature, you can easily provide your brand information to your target audience as they are reading your publications. Flip PDF Mac software don’t need any particular website, FTP or upload tools to publish your pdf flipbook online. You just need to make an account on Flipbuilder Upload service center and upload your publications, edit and share with others through social networks and emails. Hence, people can view your flip books online in their Mac device, PC, Apple and Android devices. This software is equipped with an advanced feature, called Annotation. This allows your readers to take notes on your publications while reading. Besides this, they can also add text note, emphasize pages using online brush, draw shapes anywhere on the page. They can view or delete these changes if they need when they open the book next time. Flip page PDF Mac software comes with many ready-made templates so you can easily tailor-make a style to be used for your flipping book. You can set titles, build tool bar icons, cover designs, backgrounds and other features. This software allows you to edit language in the settings so that you can add book tips and allow registered users to download the book. It also allows users to view books in Full screen mode and share it on social networks like Facebook and Twitter. If you don’t want to share your content, just disable the features in the settings page. 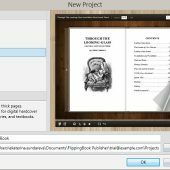 Advanced flip PDF Mac software programs are equipped with the feature that allows registered users to insert audio files for pages with synchronized text for the book. They can also use current audio files directly to their pages. 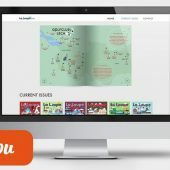 With this advanced feature, users can build wonderful presentations for meetings, language books for learning, story books for kids and other creative publications.